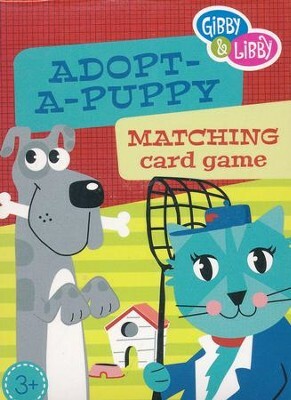 The "Adopt a Puppy" matching game is played with Old Maid rules-help the kitty cat dog catcher find homes for all the puppies! 40 cards and instructions. I'm the author/artist and I want to review Adopt-A-Puppy Matching Card Game.